What You Need to Know About Your Small Business Website! At any given time 84% of Americans are shopping for something, and they are starting their research online. When someone visits your website, what will they find? Your website is your first impression, home for your content, and often a point of sale. All of your digital marketing efforts will drive your customer here. That’s why it’s important to create a well-organized site that lets customers quickly find the information they need. The goal of your website isn’t to look great; it is to increase sales. How well your website ranks on search engines significantly impacts sales. Using comprehensive small business web design that incorporates elements of Search Engine Optimization (SEO) is one of the most important tools in your digital marketing toolbox. Your website should tell visitors exactly what you do and why you are the best at it, build trust in your brand, and capture qualified leads. In the second article of our five-part Dominating Digital series, we’re highlighting the major components you need when creating, or outsourcing, the design of your small business website. Search Engine Optimization, or SEO, refers to changes you make to your website in order to rank higher in organic search results. The first page of Google results gets over 70% of clicks. That’s why companies spend a lot of time and money to move up their ranking. At a basic level, search engines reward websites that have useful information on the topics people are searching. To be that resource, you need to first know what people are searching for. Spend time on Google exploring different search terms and see what fills in automatically when you type in main keywords related to your business. A great free tool to compare search terms is Google Trends. Identify keywords and phrases being used to find your business’s products or services and make sure to incorporate them throughout your website. Give People What They Want, First! Price transparency varies by industry. Regardless of your business, know that customers want to be able to find pricing online and are frustrated when they can’t. If your competitors are listing prices or ranges, you should be too. Customers expect to be able to contact you but not everyone prefers the same method. At the minimum, you need a phone number, physical address, contact form, and email address. If you have the resources to do it, many customers prefer the convenience of a chat feature or messaging option. 86% of customers read reviews for local businesses. Hopefully, you are monitoring and responding to third-party reviews and working to keep your ratings up. You can embed these reviews onto your own website or collect your own which can provide an SEO boost. Photos and video help the “research obsessed” customer see what they can expect from your business and its products/services. Add pictures of products, processes, staff, location, and any other element that may be relevant to your customers. Think about creating a video that takes people behind the scenes of your business. To increase SEO, use original images rather than stock photos. Be sure to give them a relevant name and ALT description as well. This may be a traditional restaurant menu or simply a listing of products and services but make sure you are telling visitors what you offer, what they can expect, and how much it costs. Add things like pricing plans, plan or product comparisons, and service charts. When visiting your website your customers will be looking to understand what you offer and validate the legitimacy of your business. In other words, can you do what I need and how do I know you are good at it? Remember, most customers are making decisions before ever talking to you. Your website needs to address that you may not be able to “sell” or “tell” them anything before they choose to go with you or leave for a competitor. To increase trust in your brand, you should feature testimonials, examples of your work, and a client list. For any of these, be sure to get permission from your customers. 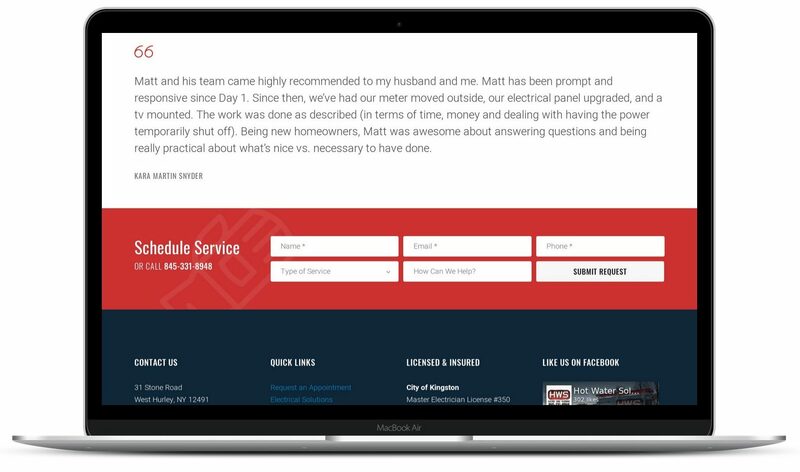 To get testimonials you should ask your happy customers, but also be on the lookout for “thank you” messages that you can adapt to a testimonial. The most beautiful website in the world won’t help businesses get customers if it is too slow to load or difficult to use. More than half of web traffic now comes by a mobile device, so it’s imperative that you think “mobile-first” when designing or making changes to your website. 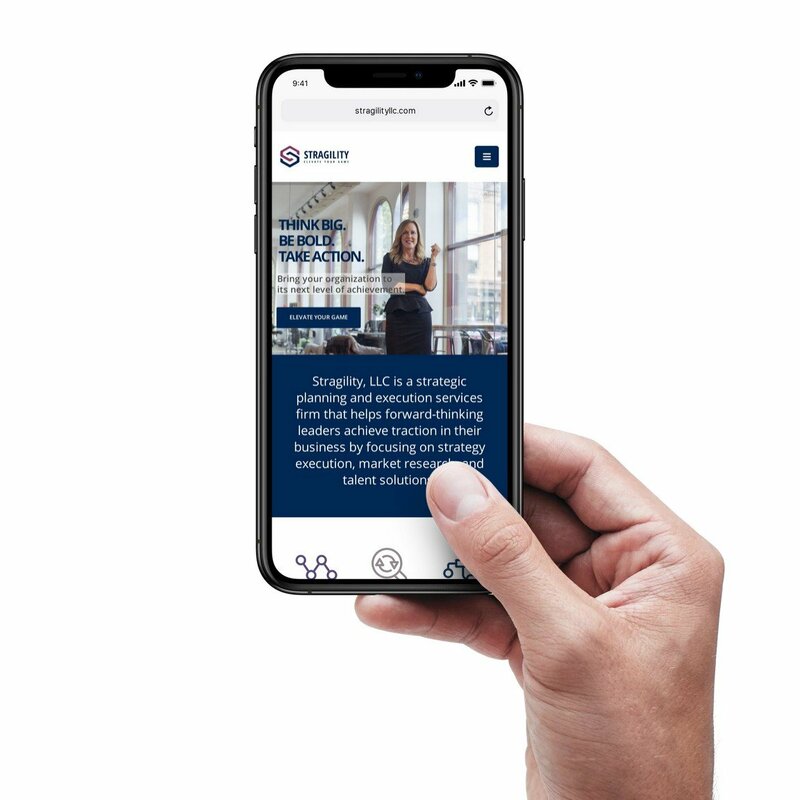 Making sure your content is easy to read on a phone is great, but don’t forget other things like making sure your address works with mobile navigation and that the phone number is clickable. Since mobile page speeds tend to be slower than desktop, focusing on speed is more important than ever. The speed of your website has an effect on search ranking and sites that are slow to download cause visitors to leave. You can test your website speed using tools like Gtmetrix. If you have a website with content people want to read, you need to put it to work. A great website converts visitors into leads that you then turn into paying customers. Think about adding these key lead generation elements to your small business website. A call to action gets your website visitors to complete a task that you want them to do. Whether it is to create an account, start a free trial, or sign up for promotions. They should stand out visually from the rest of the site and be located on a page that matches the action you are promoting. For instance, if you want someone to sign up for your newsletter, a good location is at the end of a blog post. A lead form is where a customer submits their contact details to get more information or show their interest. How many people fill out this form depends on where it is located, the type of information requested, the wording of the form, and even the size of the “submit” button. Place forms on your most visited pages and continue to make improvements as you test. Beyond supporting customers, a chat box on your website is a great way to convert visitors into leads. It gives a visitor the option to get questions answered quickly and lets you capture their information when doing so. Live chat can even save customer service costs as it is often cheaper than traditional phone support. Chat is a fantastic way to reach interested customers when they’re actively looking, but keep in mind, it needs to be staffed so that users can get an immediate response. Don’t think of your website design as a one-time project. It should be frequently updated as new features and standards become available, you make improvements, and learn from testing. If you take the time to keep up with SEO best practices, search trends, and customer preferences you can bet your business will be ahead of your competition. 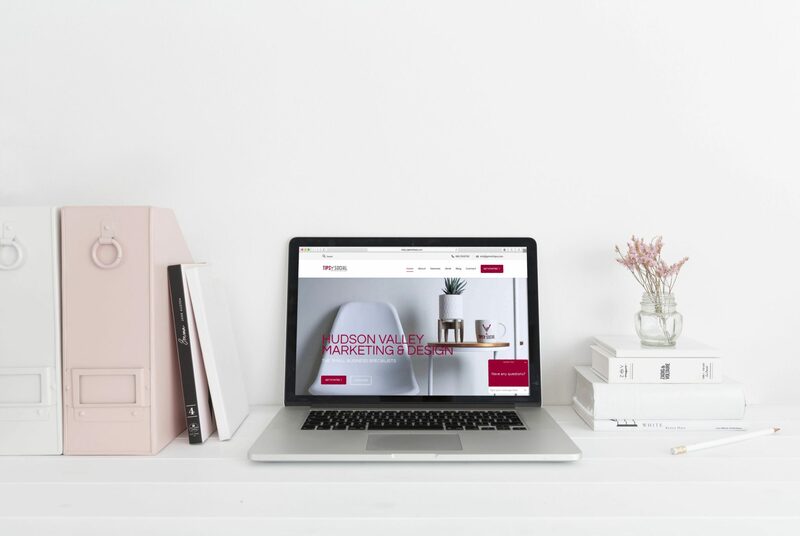 If you want to make your website work for you, your best bet is to hire a professional website design agency that will incorporate everything you want with everything your customers need. 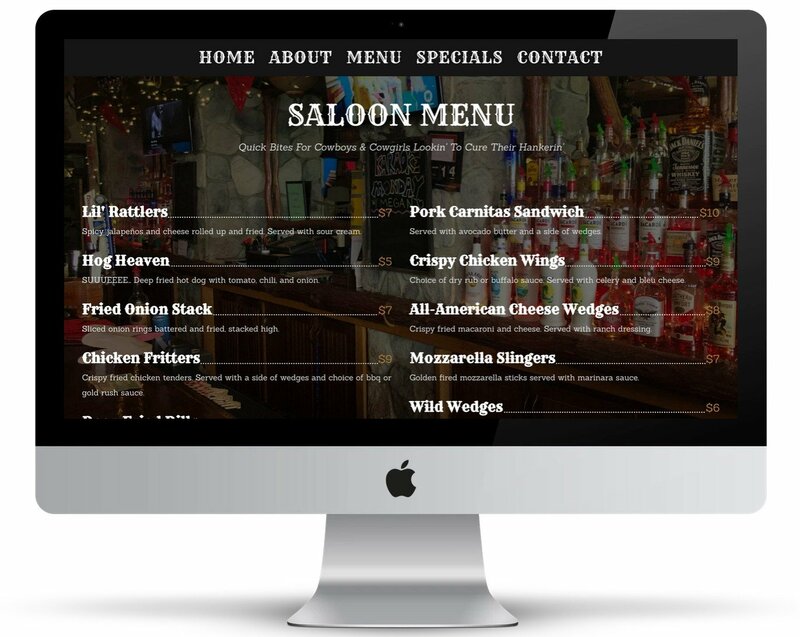 At Tipsy Social, we’re the Hudson Valley’s Best Website Design agency and work with small businesses to develop sites that help brands dominate the internet.